For the diagnosis, treatment and prevention of muscle, joint, tendon, ligament and nerve problems. We are based in Westbury, Wiltshire with easy access and local parking. Call us on 01373 865533 to make an appointment or click to Book an Appointment online. 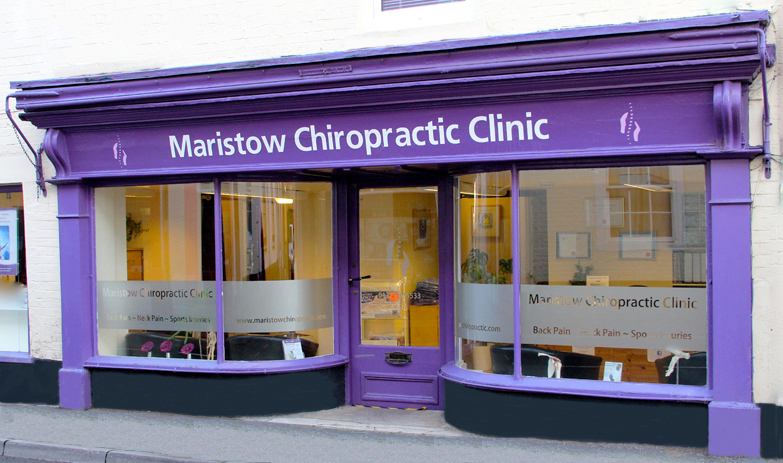 We provide fully qualified, friendly and efficient chiropractic care to relieve joint and muscle pain, we also have the facilities to carry out diagnostic musculoskeletal ultrasound scans. Whether you have back or joint pain following sports or gardening, if you have aches and pains from general wear and tear, we may be able to help alleviate your symptoms with a personal plan and tailored treatment programme. (There are some conditions that are not suitable for Chiropractic treatment and for these we will refer you back to your GP). We are committed to delivering the highest quality neuromusculoskeletal care to every patient, specific to their needs and supported by the best possible customer service. See our patient promise here and read what our patients have to say about us. We also offer a Corporate Chiropractic Scheme, so you can provide health care for your employees which is effective in reducing absenteeism through illness. In a government report, it states that 131 million days were lost to sickness in 2013 and more days were lost to back, neck and muscle pain than any other cause. We have patients across the Wiltshire, Somerset areas and are easily accessible from Frome, Trowbridge, Warminster and Devizes. To keep in touch please follow us on social media, sign up for our eNewsletter, or you can contact us via our contact page, alternatively drop in to see us if you have any questions. You are now able to book appointments with our clinic online. To book an appointment with us, click Book Now. First follow up appointment is reduced to £17 if booked with the consultation as a double appointment. *Please note that you must have attended a consultation before a single appointment may be booked. Additional fees may apply for ultrasound services, please enquire within clinic for details. We request that accounts are settled in full after each treatment. We accept cards, cash or cheques. We regret it may be necessary to charge a fee for missed appointments or those cancelled with less than 24 hours notice.